A weekend of non-stop worship in Washington, D.C.
It’s early Saturday morning in Washington, D.C. 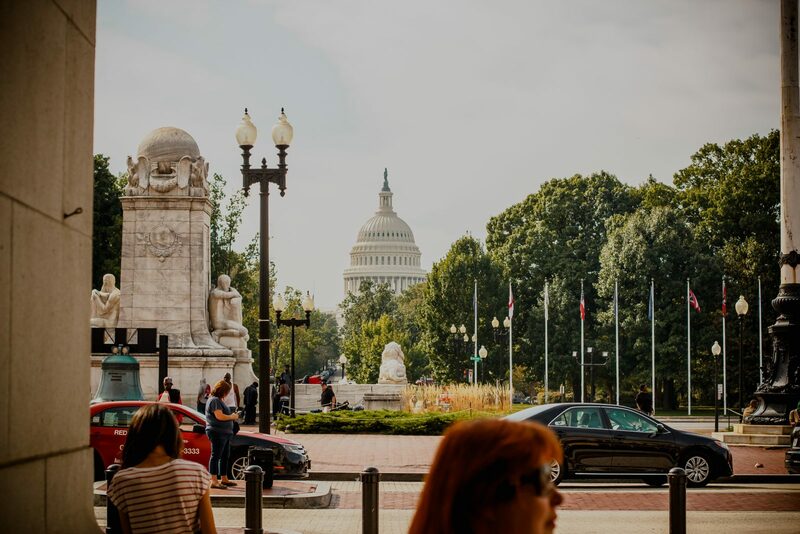 The sun is just beginning to rise over the U.S. Capitol, and the mile of National Mall between the Capitol and Washington Monument has been buzzing with 57 tents of worship that started at 10pm the night before. 50 humble-sized tents are filled with representatives from every state. Even at these early hours of the morning, there are small crowds around tents, people dancing and clapping to the Lord. An estimated 30,000 people from all over the nation converged on the National Mall from October 6–9th. 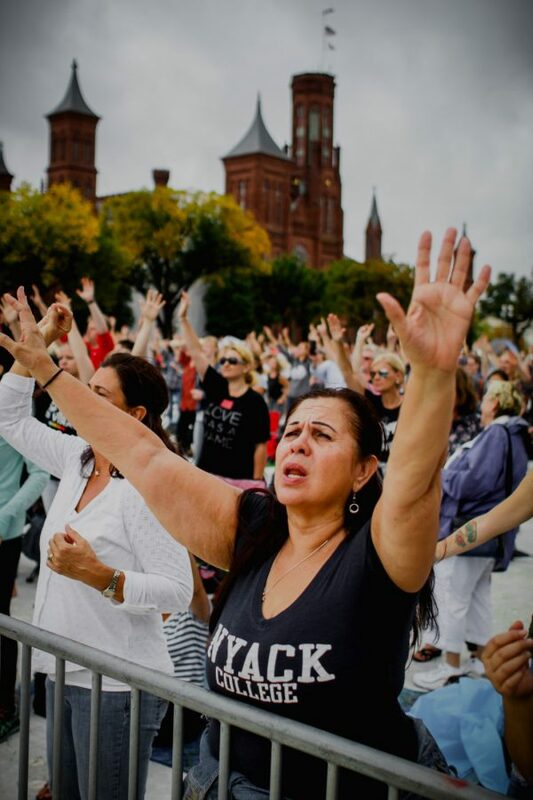 From October 6–9th, an estimated 30,000 people from all over the nation converged on the National Mall to give the Lord an offering of love and worship for 56 hours non-stop. Gathered not around a speaker, or personality, but around the presence of the Lord, these worshippers gave it their all. 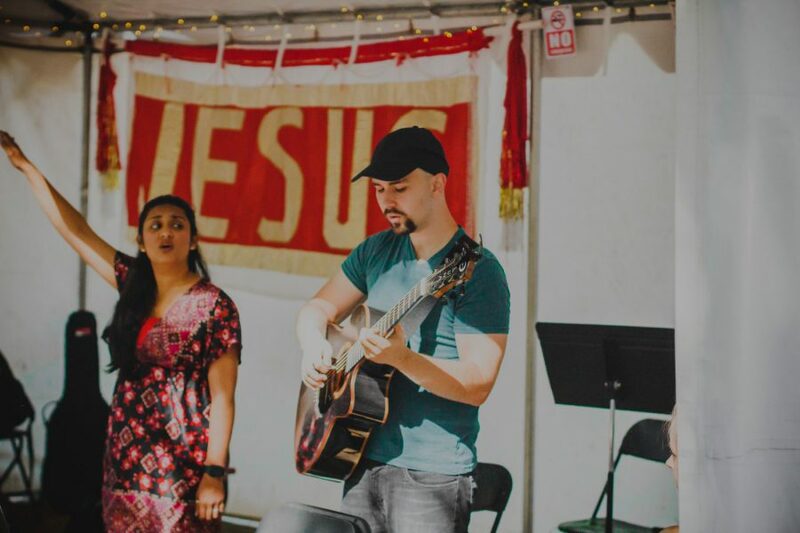 Aubrey Breedlove and Evan Olsen lead 7–9am in the Student Missions tent. IHOPTLH Directors Tenney & Pam Olsen described themselves as feeling humbled and privileged to be the Florida State Coordinators for this event. With the state tents being only 10×20′, there was a real sense of being like David in Bethlehem—just a humble group whose eyes are focused solely on Jesus. 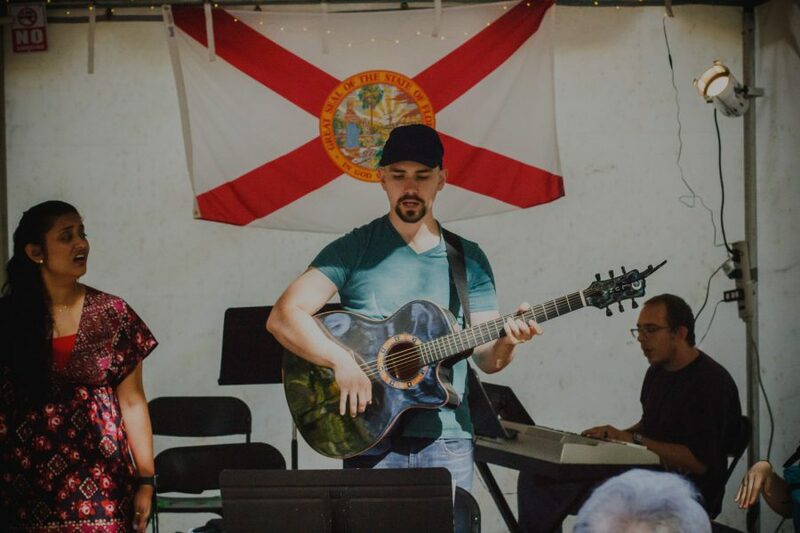 Jonathan Nicholson leads worship in the Florida tent along with his wife Sarah, Phoenix Gibson, and Alicia Williams. 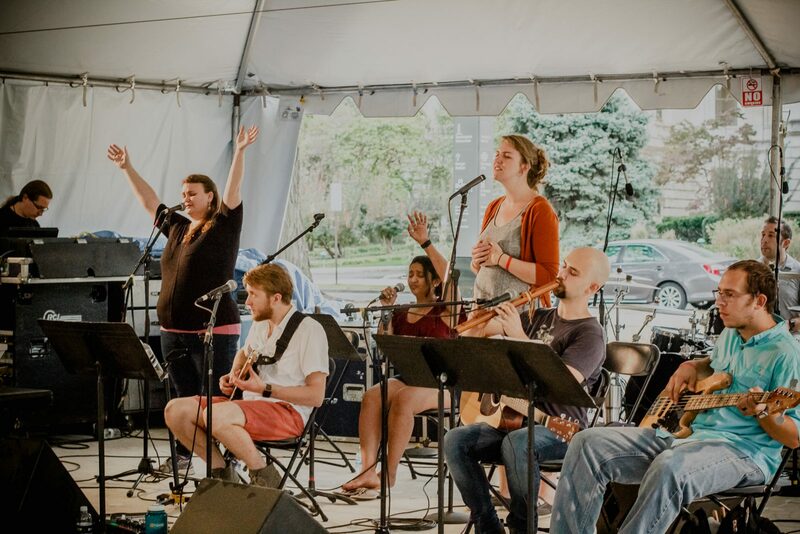 1,500 worship teams joined together for worship in 57 tents spanning 56 straight hours. Added together, it’s equivalent to 133 days of non-stop worship in the heart of our nation’s capital. 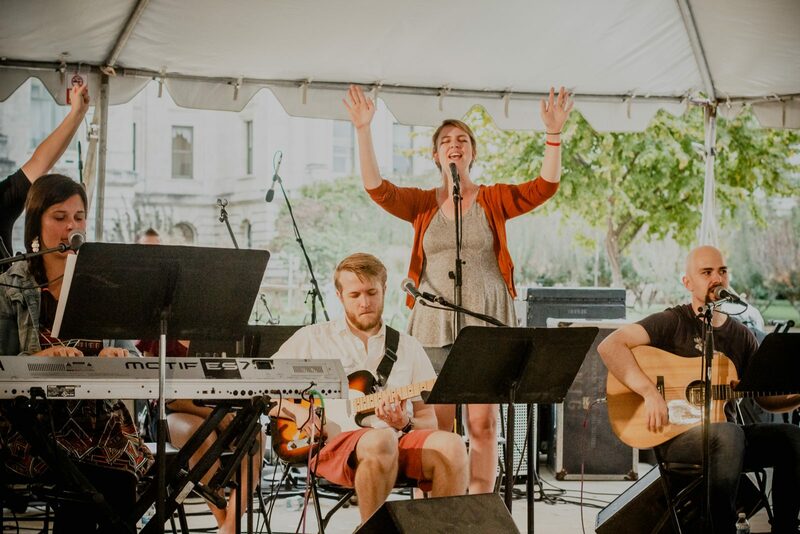 A worship team from IHOPTLH leads in the Student Missions tent. 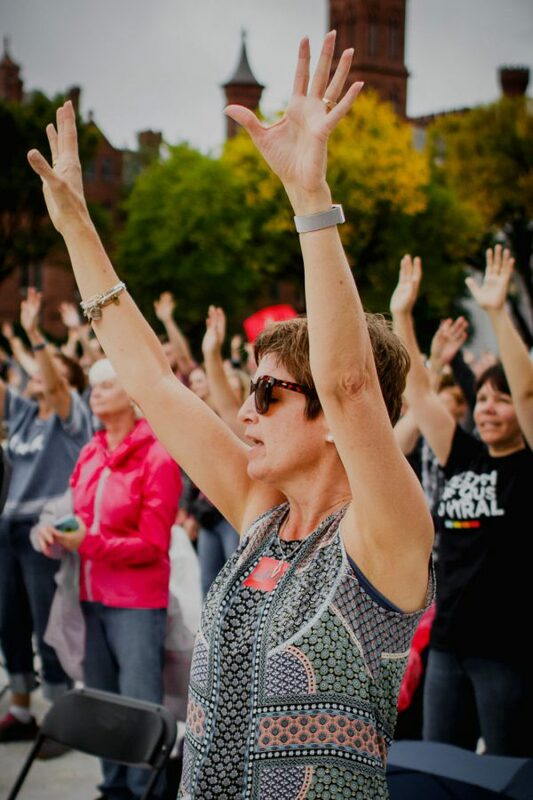 On Monday, as the rain turned the fine dust of the Mall walkways into puddles of orange mud, an estimated 15,000 women, men, and children dressed in ponchos and donning umbrellas came together at the Main Stage for Rise Up: TheCall. 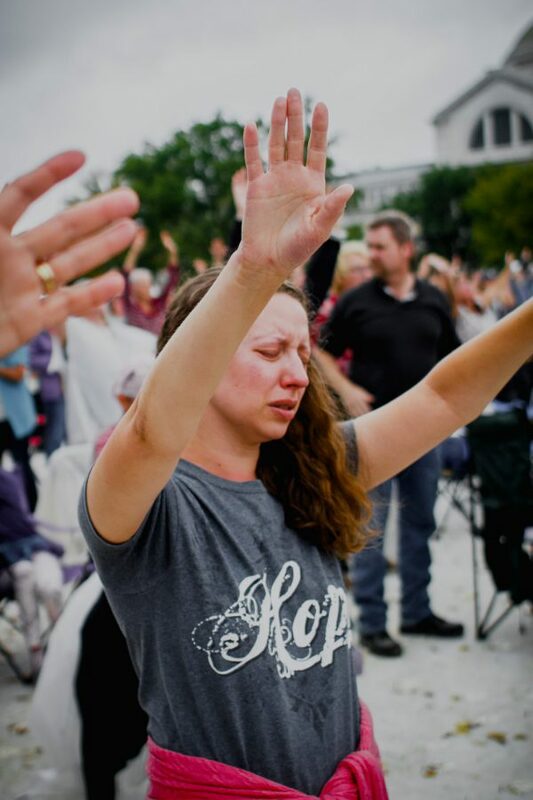 As Christian women came together, they cried out for their children to come to the Lord; prayed for racial reconciliation; jumped in celebratory worship; and committed to being a voice for righteousness in our society, especially for the unborn child. 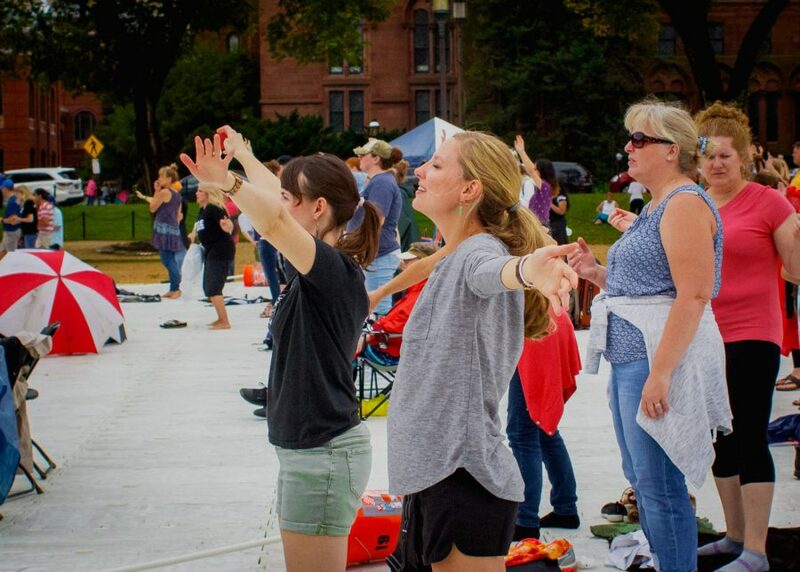 Sarah Olsen and Rebecah Johnson pray at Rise Up: The Call. 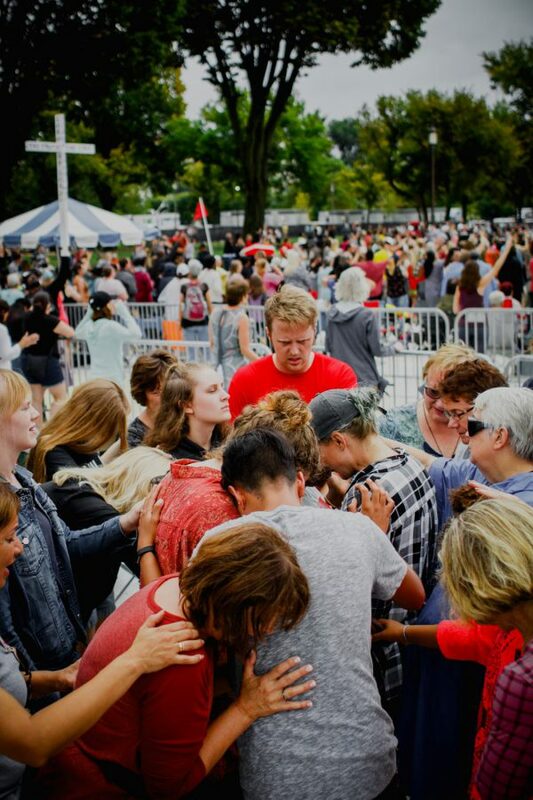 Tens of thousands of women, men, and children joined together for prayer at Rise Up: TheCall. 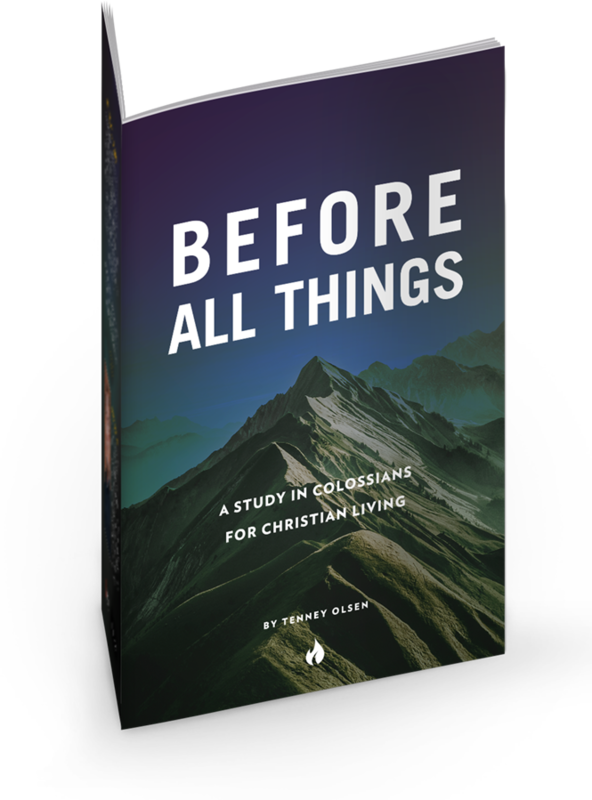 “What if the Jesus Movement of the 1970s was God’s answer to the secret cries of a million moms who refused to abandon their sons and daughters to the rebellion of the ’60s? 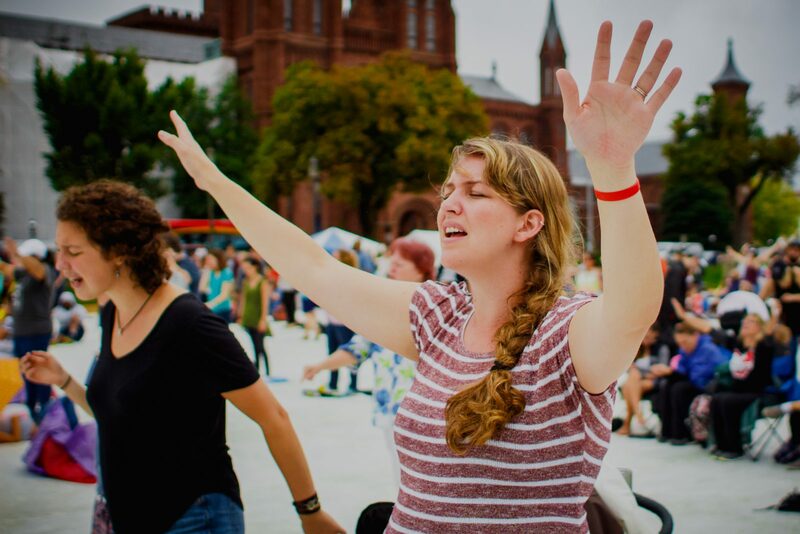 Sarah olsen talks about praying for the children in America at Rise Up: TheCall. Aubrey Breedlove shares her five-year-old daughter’s prophetic song about unstoppable Jesus. 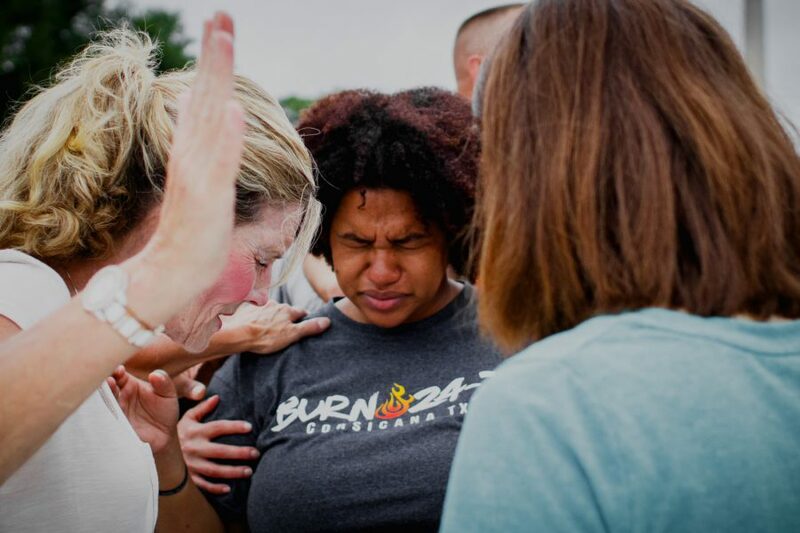 Racial reconciliation at Awaken the Dawn — Fredrica’s testimony. 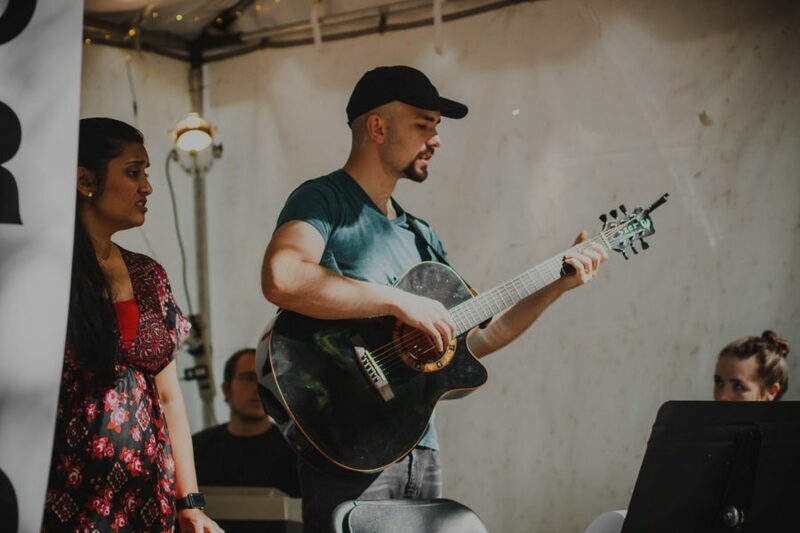 Jessica worships with other millennials and encounters God as a Father. If you have a testimony about Awaken the Dawn or Rise Up: TheCall, please send it to us!